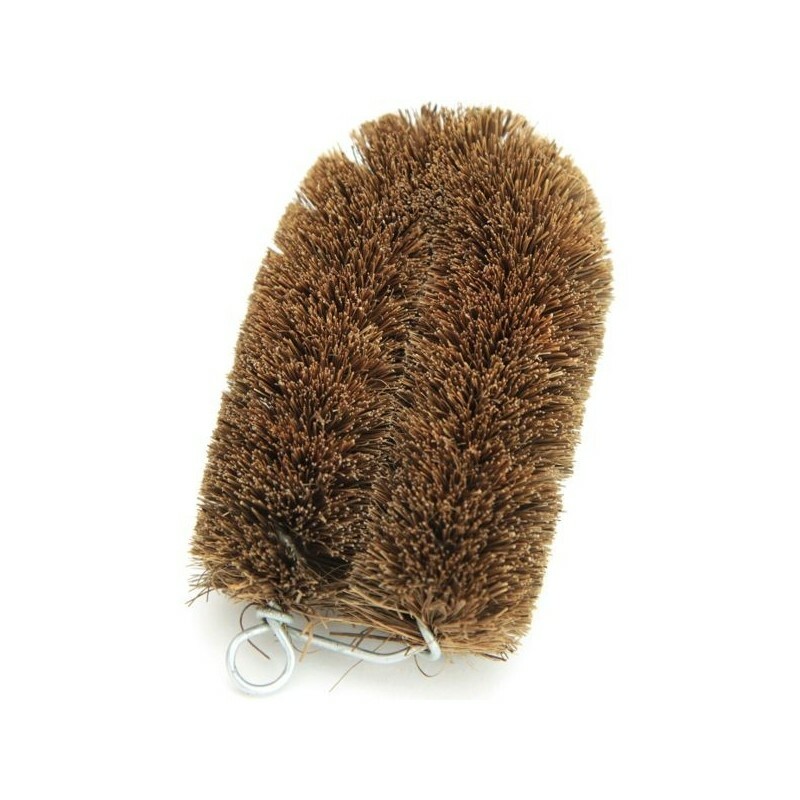 This 100% coconut fibre kitchen scrubber is ethically handmade in Sri Lanka using biodegradable, environmentally-friendly and natural fibres. Galvanised wire joins the brush together and will not rust. Coconut fibre is naturally anti-bacterial. Brush is 10.5cm x 6.5cm x 3.5cm. This is a great product, works well and is very durable. This is super strong and durable. I highly recommend it if you are looking to make the change over to plastic free cleaning. I loved my other EcoMax scrubbers with handle, but found after a couple of months the glue joining the head to the handle came unstuck. I persisted for a while but eventually ditched the handle, but was left with two big metal prongs sticking out of the handle that dug into my hands a bit. This scrubber saves the trouble with the handle. Bristles are firm enough to clean well but don’t scratch. Sometimes I find the bristles dog into my hand a bit if I’m scrubbing hard, but I find it worth it not to use plastic and nylon. The heads last ages!